China's coal production has posted a rare decline, raising new questions about the strength of the economy. 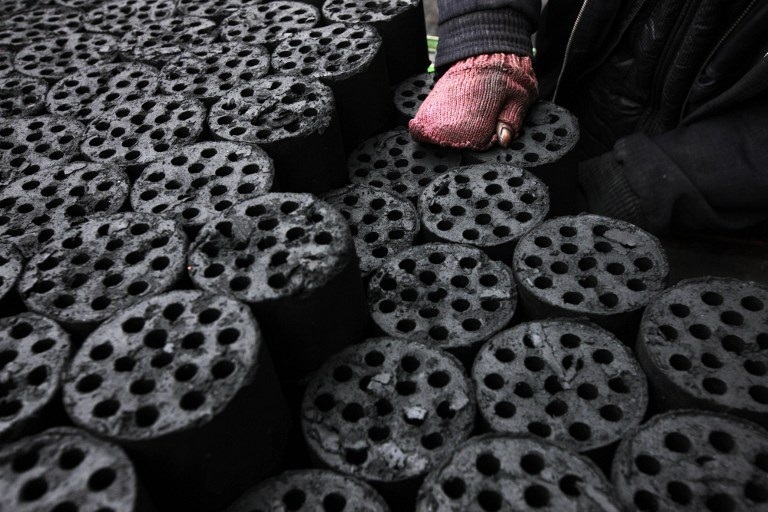 Production of China's main fuel fell 0.95 percent in the first quarter from the year-earlier period to 830 million metric tons, while consumption increased only 1.5 percent, the China Coal Industry Association said. The results may raise concerns that China's slowdown has been more serious than the 7.7-percent growth rate of China's gross domestic product (GDP)—an estimate of the market value of a country’s goods and services—reported for the first quarter of the year. Coal output dropped 1.7 percent in March as sales dipped 2.1 percent from a year before, the industry group said. Last year, production rose 4 percent to 3.66 billion tons. The power sector has also been unusually weak. Quarterly electricity consumption grew 4.3 percent, the official Xinhua news agency reported, citing the National Energy Administration. In the corresponding quarter of 2012, power use rose 6.8 percent as GDP grew at an 8.1-percent pace. This year's slowdown appears pronounced in the primary sector, covering production and extraction of resources, with its quarterly electricity use rising just 0.3 percent. Total power use also stagnated as the quarter progressed. Electricity consumption edged up 2 percent in March, Bloomberg News said. Power use grew at a 5.5-percent rate last year. Analysts often look to power consumption as a more reliable indicator of economic activity, particularly in China where official GDP figures have been subject to doubt. China's official data has come into question twice in recent weeks with reports that the General Administration of Customs (GAC) overstated exports for several months due to widespread tax rebate fraud. The National Bureau of Statistics (NBS) report of first-quarter GDP then fell short of analysts' forecasts, but the power and coal figures now suggest that growth may have been even lower than NBS estimates. For China's coal companies, the drop in output may bring more pressure on an industry that doubled in the past decade to produce more than half of the world's high-polluting fuel. Steam coal prices fell sharply in early 2012 and have stayed at low levels ever since. On April 17, China's benchmark coal price stood at 615 yuan (U.S. $99.46) per ton, Reuters reported, citing the Bohai-Rim Steam Coal Price Index. Platts energy news service quoted one trader as saying that prices could drop to 513 yuan (U.S. $82.98) per ton exclusive of value-added tax (VAT) in the next couple of months. International coal prices have been pressured in part by the surge of shale gas production in the United States. The new energy source has driven coal down, making it cheaper to export, even to a giant producer like China. Major producer Shenhua Energy has asked its mines to cut production costs by 5 percent due to price pressure and weak demand, according to the South China Morning Post. Coal stockpiles at mines and power plants are said to be high. But while the coal and power results may raise suspicions about the economy, they are uncertain indicators, said Philip Andrews-Speed, principal fellow in the East Asia program at the National University of Singapore's Energy Studies Institute. China's coal statistics are notoriously unreliable with provincial production figures often exceeding national totals by several hundred million tons per year. Andrews-Speed noted that the reports also do not include China's coal imports, which rose 30 percent from a year earlier in the first quarter, Platts said, citing a trade source. The softness in the power sector also raises the question of whether China has become more energy efficient as it trims wasteful production along with excessive growth. "Either the economy is growing more slowly than 7.7 percent, or the structure of the economy has shifted to less energy-intensive activities," said Andrews-Speed. Greater efficiency could explain much of the downturn in coal, as heavy and construction-related industries cut back to keep pace with slower economic growth. "If this is the case, remember that this always happens in China when growth slows," Andrews-Speed said. "When growth picks up, energy intensity rises again."